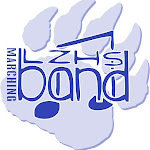 Lake Zurich HS Band: Jazz This Year! This year's jazz concerts are December 3rd, February 26, and May 18. All concerts start at 7:30PM. The jazz ensembles will also participate in the Northshore Jazz Festival at Glenbrook South on January 24th and the Rolling Meadows Jazz Festival on February 28. The Rolling Meadows Jazz fest will feature the Gordon Goodwin Big Phat Band and all parents and even non-jazz students are encouraged to attend! In addition, from March 21-27, the jazz ensembles will be traveling to New Orleans to do some performing and community work, building homes and working on home improvement projects for local residents. This effort is made possible to HisHands2Go, a New Orleans Charity. If you would like to help out in some way, please contact Mr. Thompson.